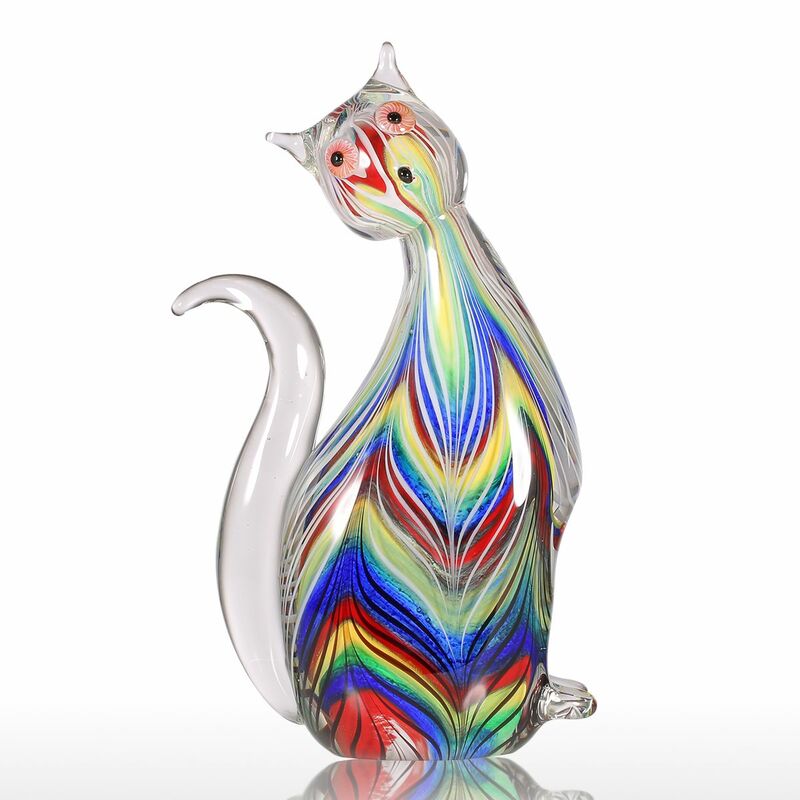 This is a glass kitten with complex layers and multiple bright colors. 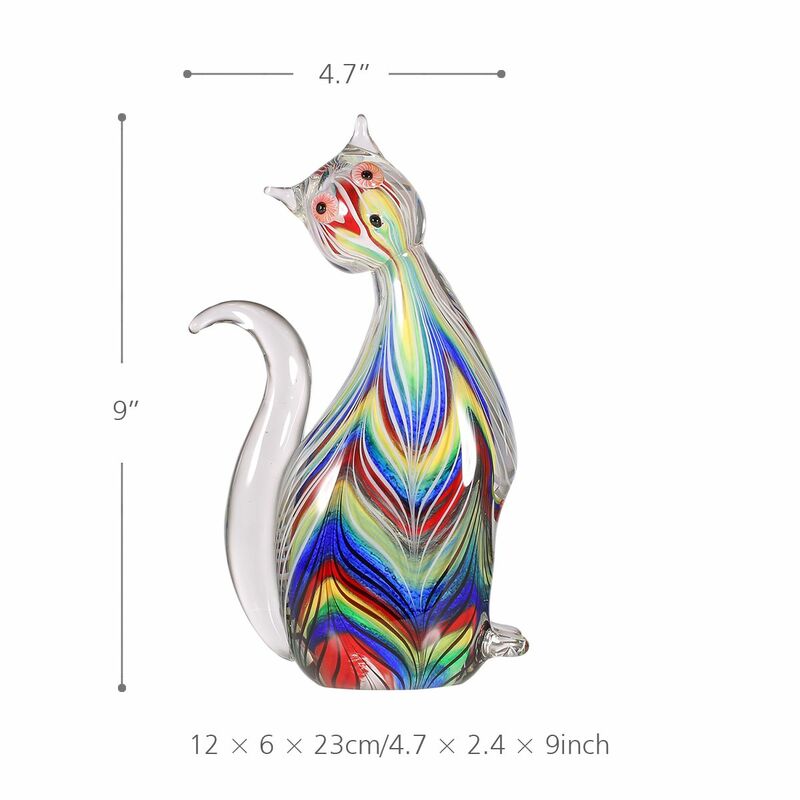 The delicate hand-blown process is awesome and incredible. 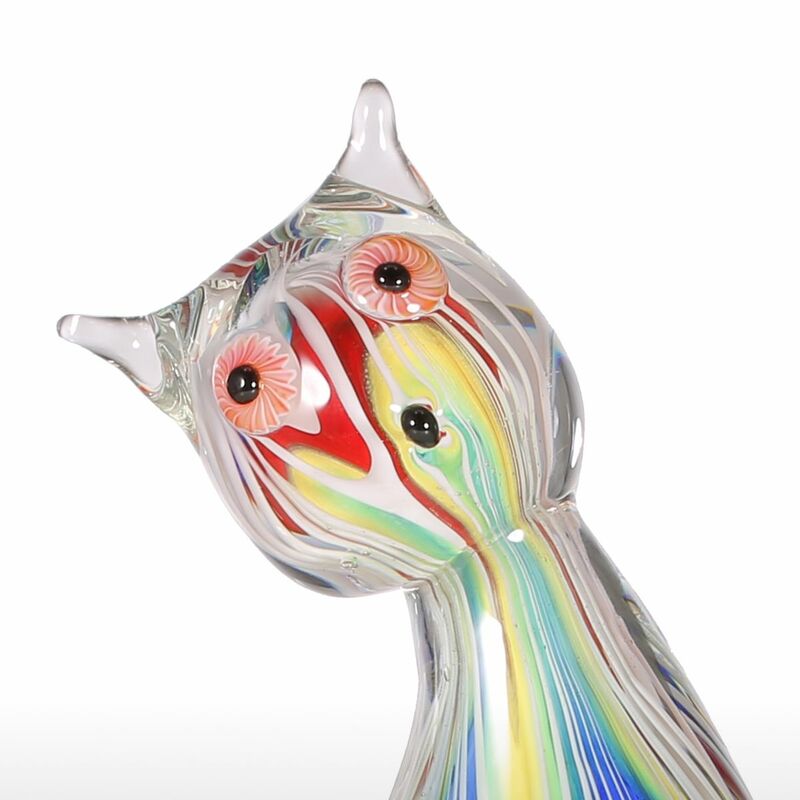 The glass kitten leans head and stares at you curiously. 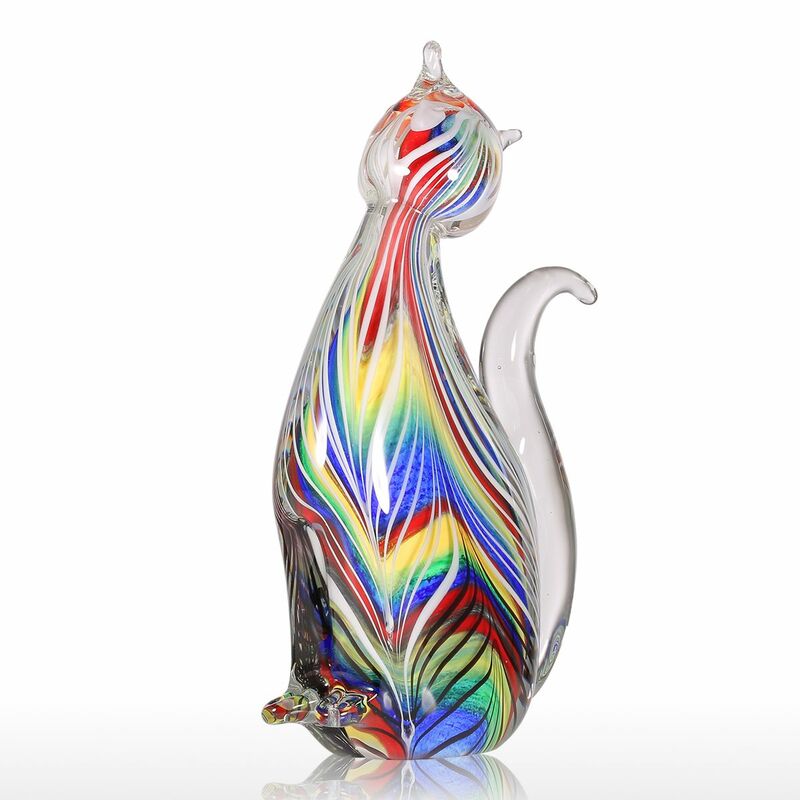 The body is colorful like the rainbow, bright and appealing. 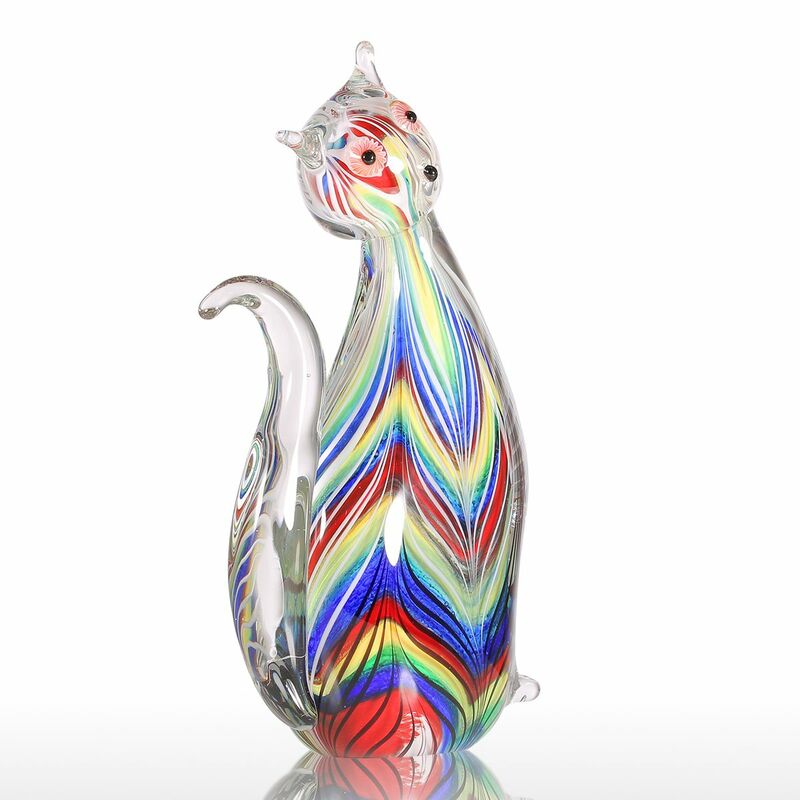 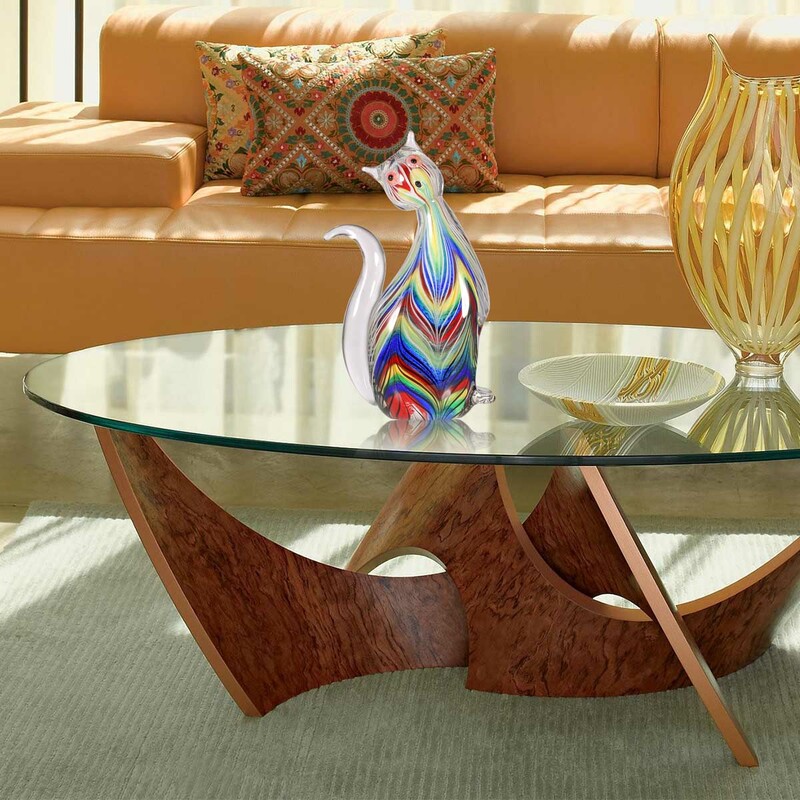 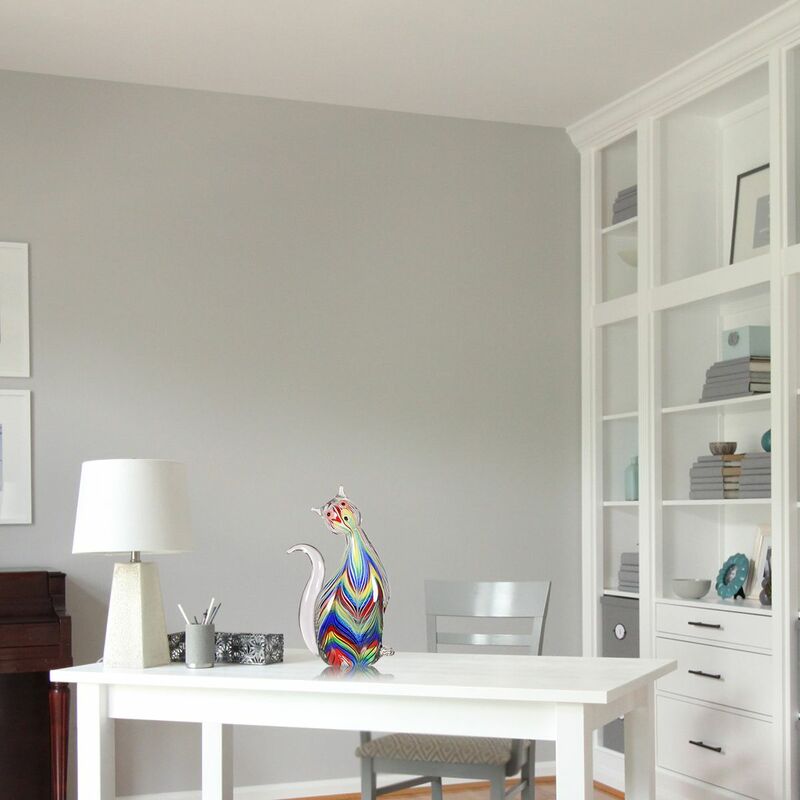 The delicate colorful pattern made by hand-blown process will make you commend the craftsmanship.